I love freshly baked bread. It is one of my favorite things to create in the kitchen, especially in the colder months. 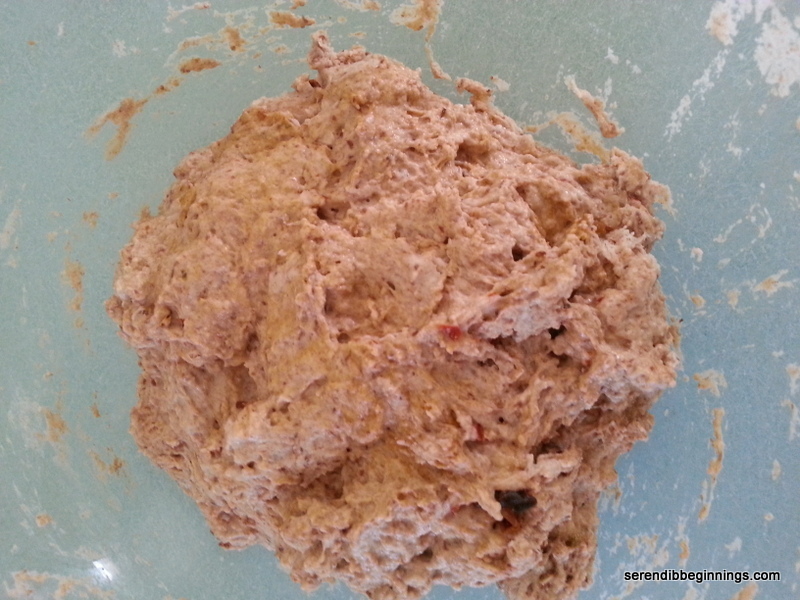 The recipes I have tried in the past have all been the kneading type with lots of all-purpose flour. So, when I came across a recipe online at http://www.the-baker-chick.com which in turn referenced another posted at http://www.simplysogood.com, I thought it’s worth the try since it involved very minimal time commitment. This recipe is very versatile meaning you can mix in various things. Janet at Simply So Good gives you a whole bunch of options. In my version, I added a heaping tablespoon of harissa sauce. 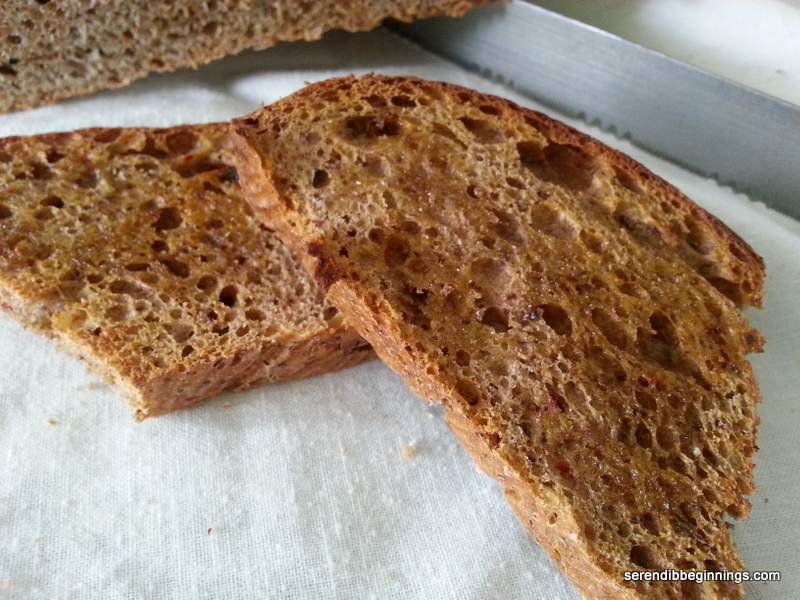 It infused the bread with bit of heat and a touch of caraway flavor in addition to giving it an orangish tint. 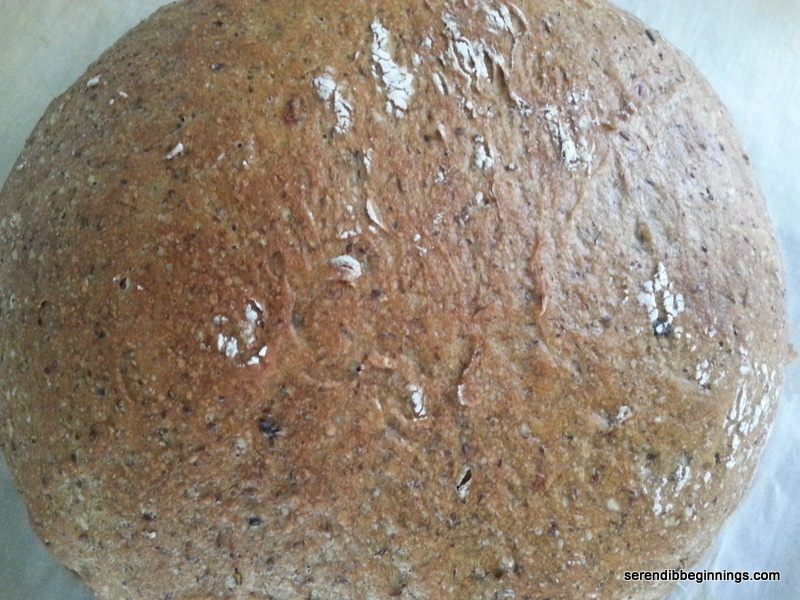 Replacing half the all purpose flour with whole wheat and adding in a bit of ground flax made the bread a bit more wholesome. It is a little denser than the white bread variety (which I would make next just for comparison), but packs a lot of flavor. I brushed a slice lightly with olive oil and toasted in a pan and it was delightfully crispy and chewy. Whether you are looking for a no-knead bread recipe option or something different for a change, this recipe is a definite keeper. One caveat – this dough needs to be proofed for a long period, typically about 12 – 18 hours or so. I proofed mine for about 19 hours and it was great. So, if you are like me, feel free to mix up the dough on impulse and let it do its thing! 1. Dissolve yeast and sugar in 1/4 cup of warm water and set aside for 5 min till frothy. 2. 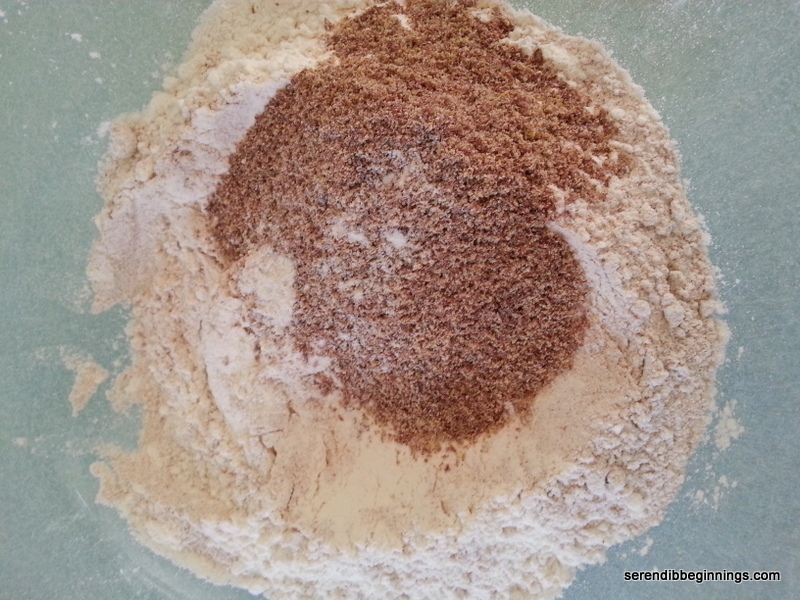 In a large bowl, combine all flours and salt. 3. Add yeast mixture and remaining water to the flour mixture and mix with a wooden spoon or spatula till a “messy” dough forms. 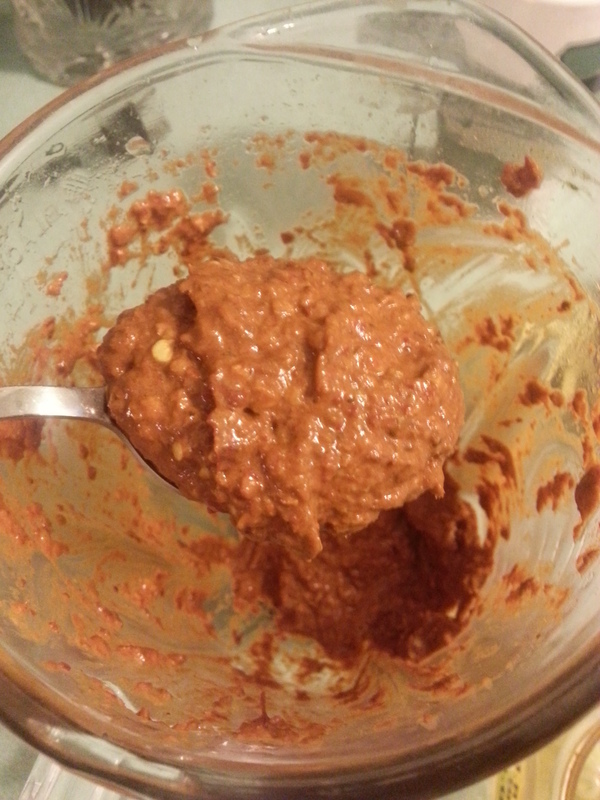 If using harissa or another add-in item, stir it in while adding the water and yeast mixture. 4. Cover with a plastic wrap and keep on the counter top or in a cool oven for 12-18 hours or more till the dough bubbles up and more than doubles. 5. At the end of the proofing time, remove the bowl from the oven and set oven to 450F. 6. After the oven is preheated, place a pizza stone or an oven proof ceramic container in the oven to preheat for 15-20 minutes at least. 7. Invert a large cookie sheet and place a sheet of parchment paper on it. Empty the dough onto the parchment paper and with heavily floured hands gently mold the dough into a dome shape (mine was about 8 inches or so in diameter). 8. 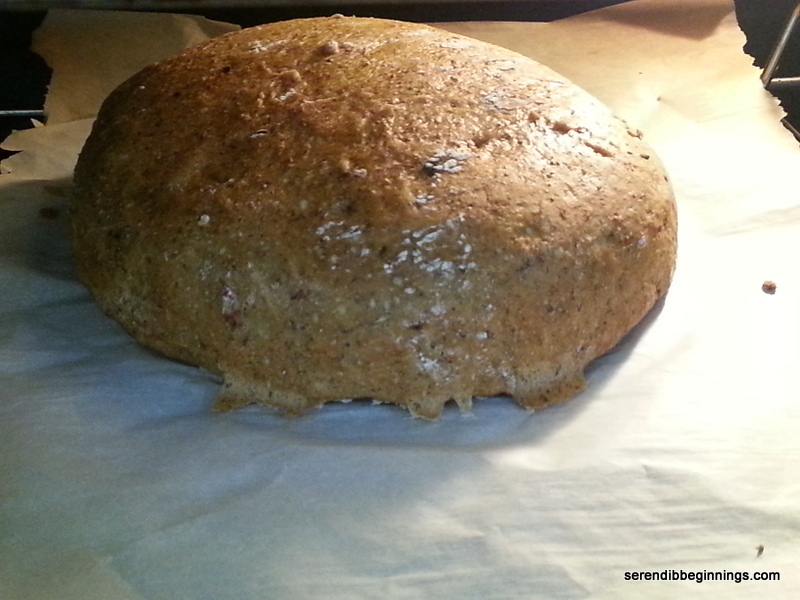 Open the oven and quickly slide the parchment sheet with the bread onto the pizza stone. 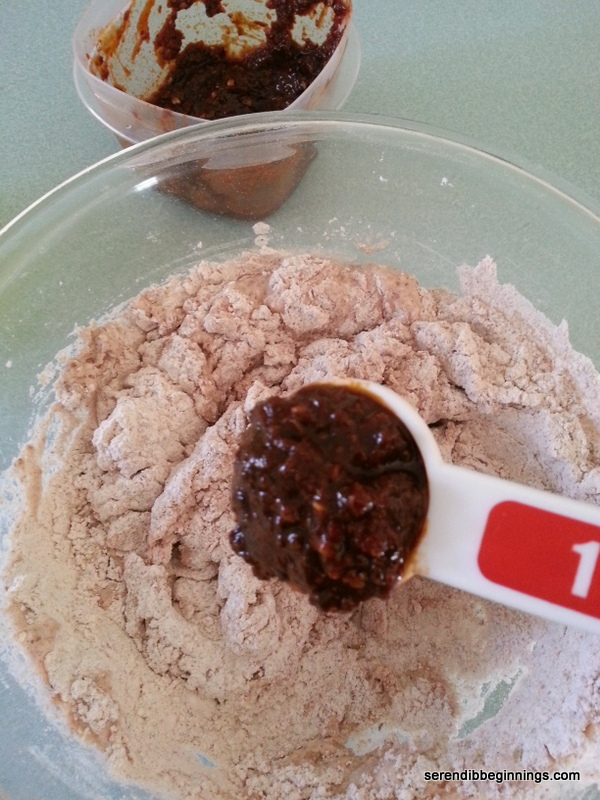 If using a ceramic bowl, slowly invert the dough into the container. 9. 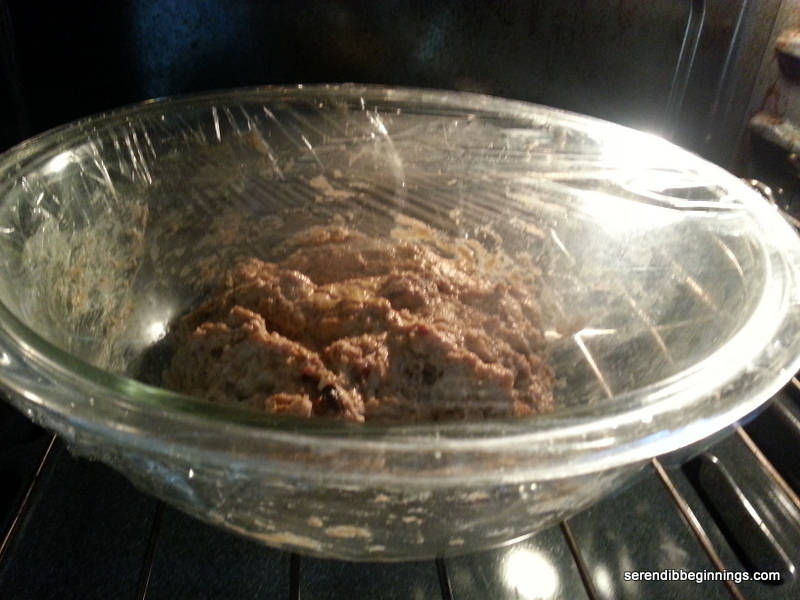 CREATING STEAM EFFECT – I used a heavy stainless steel bowl to cover the dough while baking so the moisture from the sticky dough could act as the steam. If you don’t have a similar set up (or if not using a ceramic dish with a lid), you could preheat a broiler pan on the bottom rack of the oven while preheating the pizza stone and add about 2 cups or so of hot water as soon as you slide the dough onto the pizza stone. 10. Bake covered for 30 minutes. Remove cover and continue baking for another 15 minutes or so till the bread sounds hollow when tapped. 11. Carefully remove from pan and loosely cover with a kitchen/bread towel. 12. Serve toasted or untoasted with spreads of your choice or just a dip of olive oil and garlic. Harissa is a fiery hot sauce used in North African cuisine. As you might have guessed, primary ingredient is PLENTY of dried hot peppers. I used dried cayenne peppers this time around. Next time though, I would love to incorporate some fiery harbanero or other super spicy pepper for added heat. This sauce can be used as a condiment or as a seasoning for meats and seafood. I even used some of it to spice up pasta sauce and it was amazing. I also tried it spread on a cracker. Delicious! Who knows, if you like spicy things, this might become your new favorite dip for chips or veggies. 1. 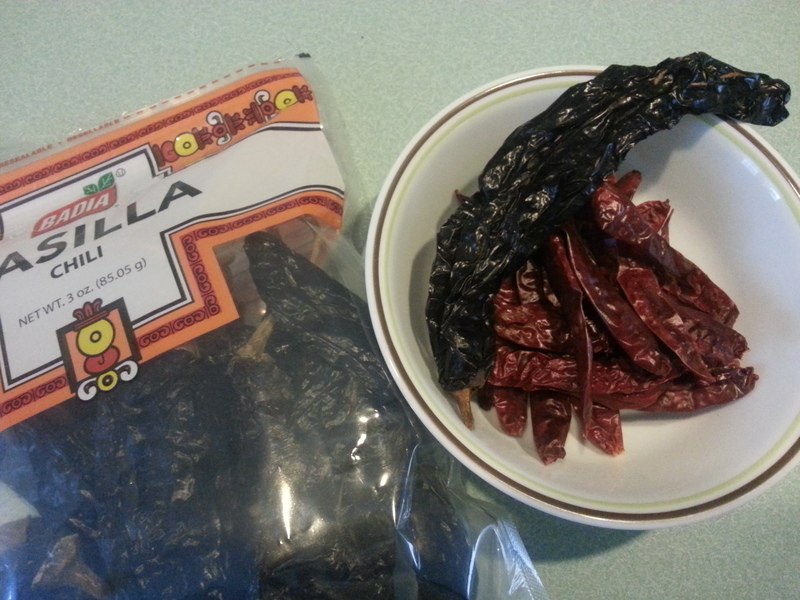 Soak dried peppers in hot water for 10 minutes. 2. 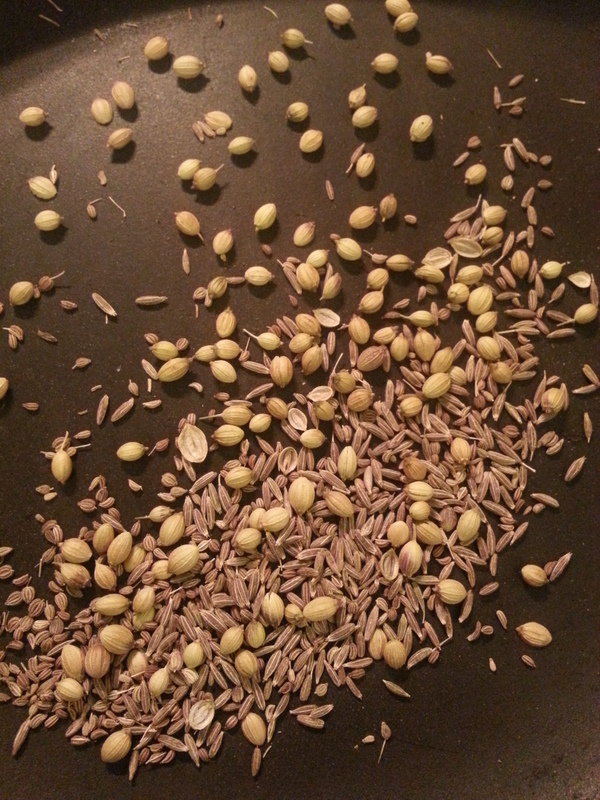 Dry roast coriander, cumin and caraway seeds for 3-5 minutes under low heat. 3. Grind them to powder using a spice grinder or mortar and pestle. 4. Drain the peppers and transfer to a blender or food processor along with all other ingredients except water. 5. Grind to a paste adding just enough water. 6. Transfer to a container and refrigerate. 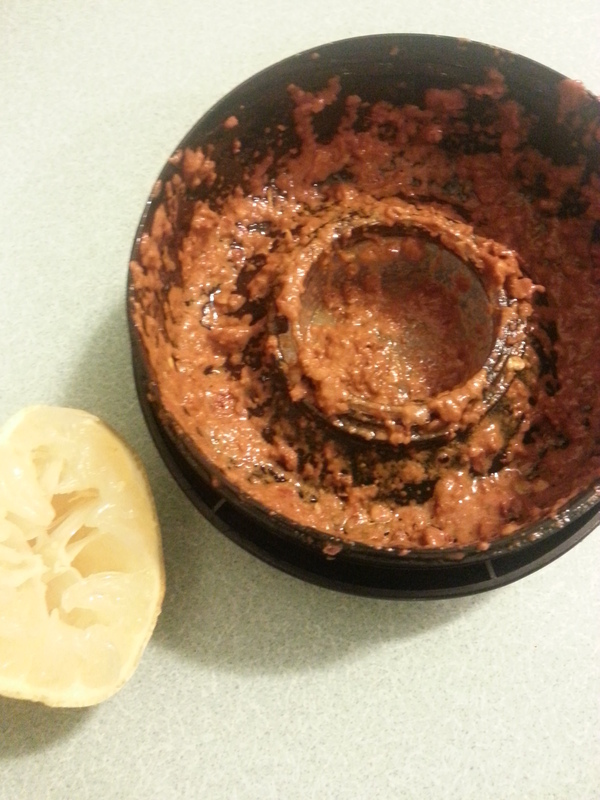 Harissa can easily be stored in the refrigerator for few weeks – if it lasts you that long.